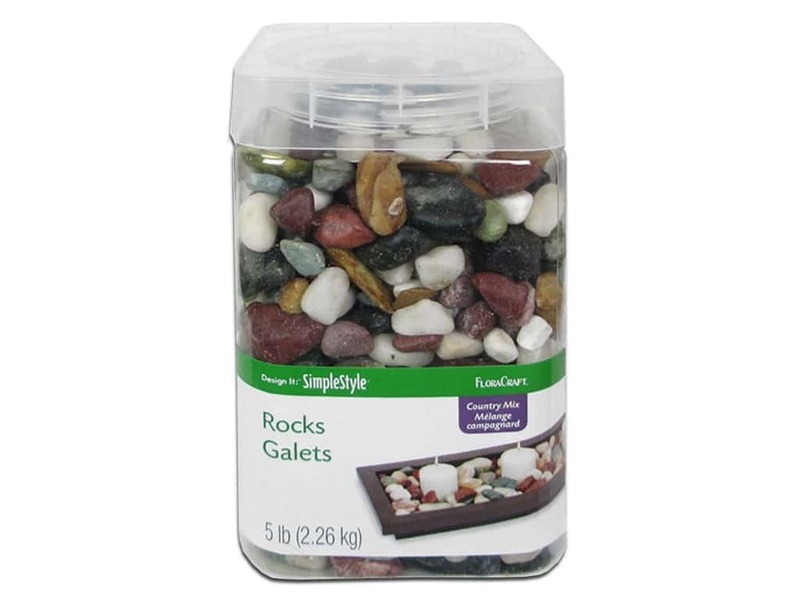 Description: FloraCraft Decorative Rocks add decorative accents to flower arrangements, home decor, vases, jars, bowls, picture frames, rock gardens, and water fountains. These rocks have a polished finish. Add to vases, jars, bowls, picture frames, rock gardens, and water fountains. Packaged in a Clear plastic container with a twist lid. For decorative use only. 5 lb. Country Mix.